A month or two ago, I got a call at work from Sandi Schmidt with The Garden Club of Austin asking if I would come talk at one of their meetings. 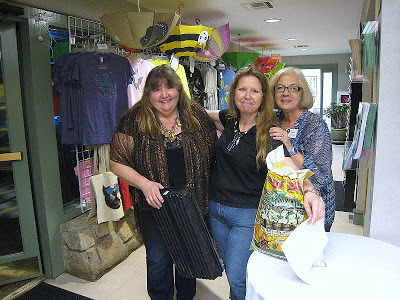 Turns out a friend of mine, Marge Trachtenberg, who I worked with at Natty G's, is a member and told her about me and this blog. 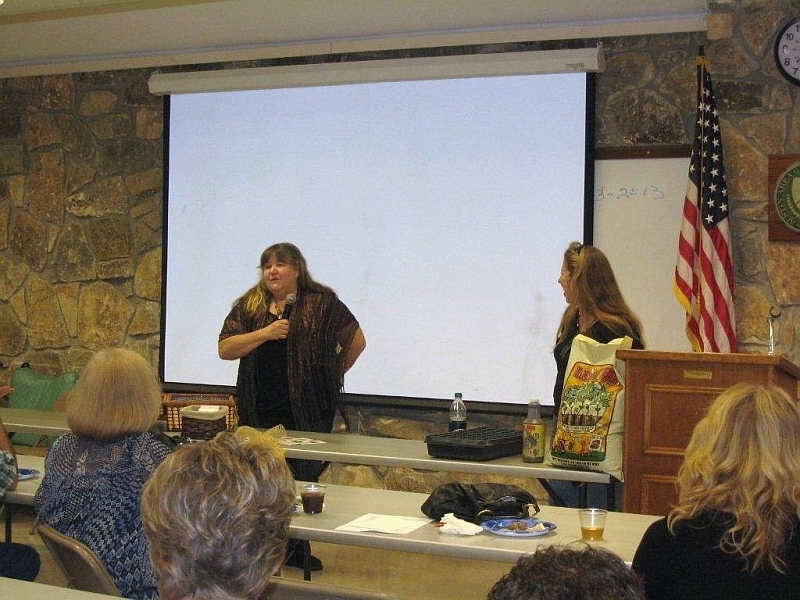 Sandi said I sounded like a hoot, and would I consider coming to their January meeting to give a talk. Would I! I would love to! 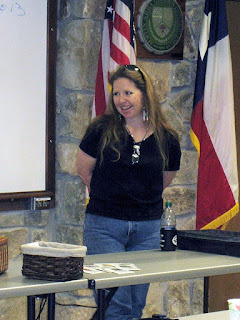 So we set it up for last Thursday, January 24th, and I would talk about seed starting. 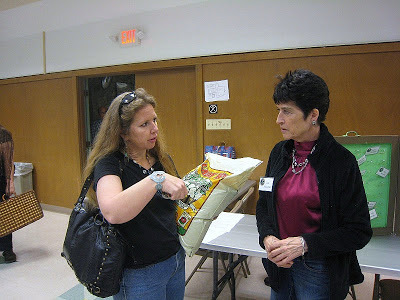 Sandi mentioned that she'd like to have some seeds to give to the members who attended, something they could take home with them to practice what I was to talk about that night, so I offered to give them some of the seeds I'd saved. Lord knows I have plenty. I had such fun going through my seeds and picking out the ones to give. 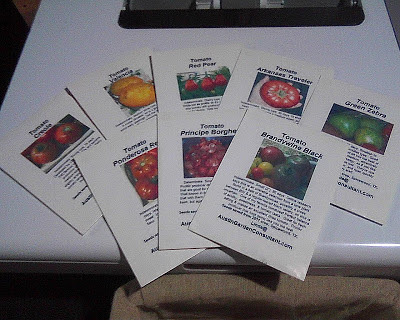 While looking for the little coin envelopes to put them in, I came across the last of the blank seed packets I'd bought years ago and eyed the printer. Creativity struck. I love creativity! 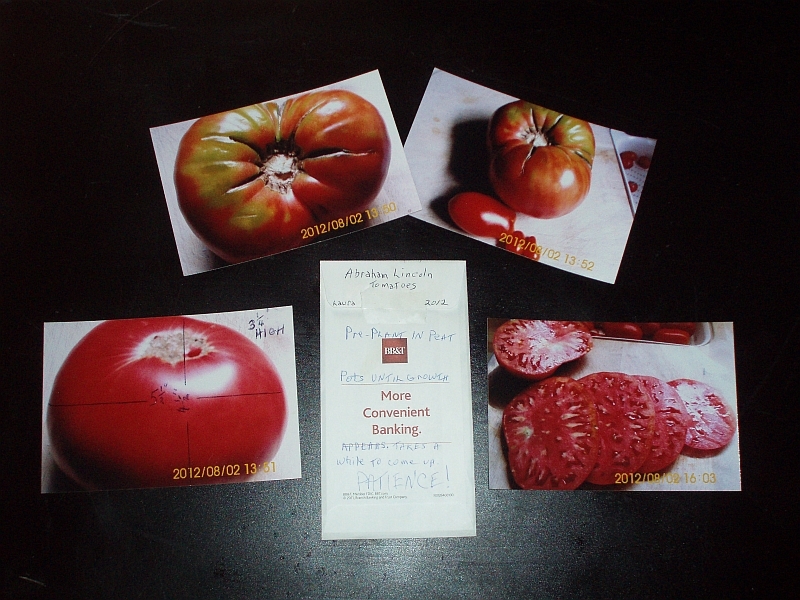 I made up 45 seed packets of nine varieties in all. The best part was getting to see Marge again. We were hired at the Natural Gardener at the same time, four years ago. She's worked there off and on since then, working in the store, doing reception. She's a fellow veggie nut, and took over the veggie availability list last year, researching all the varieties we carried to see if they were hybrids or not. It was great! So easy for me to just point to it when a customer asked what something was and I wasn't sure. I love working with her and really hope she comes back this spring. We did the whole squeal and hug thing when we saw each other. Some people laughed, saying we looked like sisters. I looked over at them and said, "She's my sister from another mother." That got a lot more laughs. I've missed her. Since it was her idea to have me come talk, she was asked to introduce me. The picture below right was taken while I was listening to her. I love that picture. By the way, I want to thank Sandi Schmidt and Carol Kay Johnson for taking most of these photos (all of the ones with me in them) and giving me permission to use them. I really appreciate it, you two! After I finished talking, Sandi presented me with a gift ~ Hershey's Kisses! But these weren't any ordinary Hershey's Kisses. 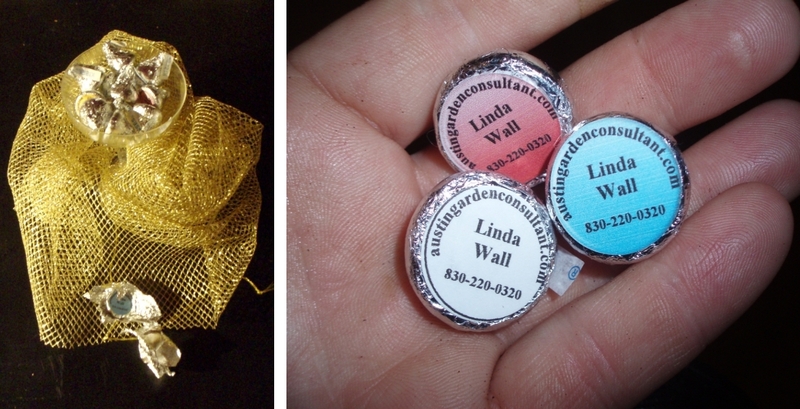 She and her husband had printed custom labels with "AustinGardenConsultant.com" as well as my name and phone number, affixed one to the bottom of each kiss, filled a martini glass with them, and wrapped them up in beautiful gold netting tied with gold thread. Beautiful! She also was kind enough to include another sheet of the stickers so I can put them on peppermints because, like she said, peppermints won't melt in the heat as readily as chocolate kisses so I can carry them around in my briefcase and give them out. 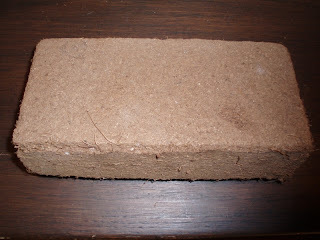 ... and a coir fiber brick from Mr. Gani of GaniGarden.com. He imports these and they're de-salinated. Nice! You should be able to find them at GeoGrowers and The Great Outdoors. I loved answering all the questions afterwards. Obviously this is a subject many are interested in, as the questions kept coming, even as I was leaving. But I don't mind. Not one little bit. 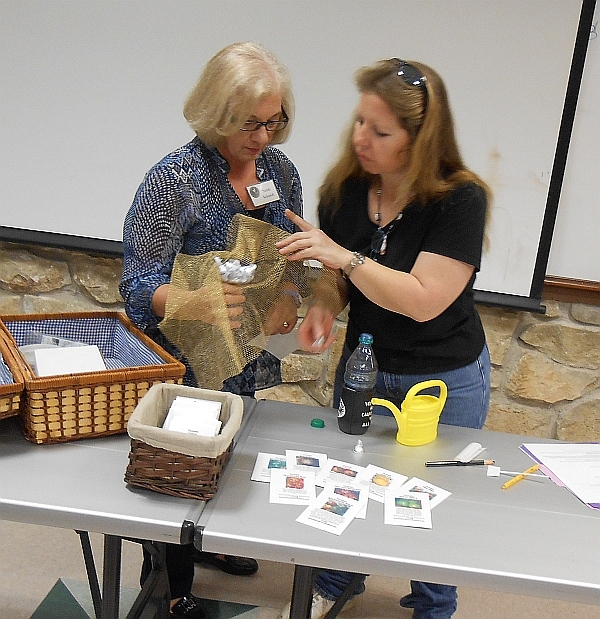 So thank you Marge, Sandi, and all the other members of the Garden Club of Austin. I had a wonderful time and hope to see you all again soon!